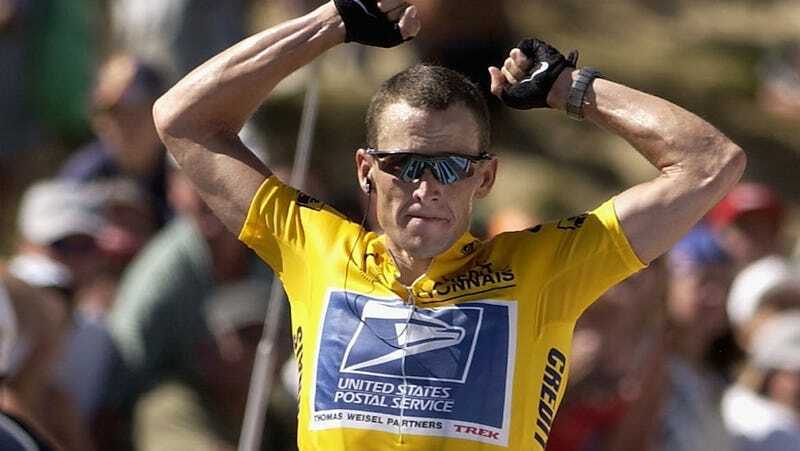 Lance Armstrong is facing a lawsuit claiming he defrauded team sponsor US Postal Service out of millions of dollars. Armstrong's lawyers have fired back, claiming the government shouldn't collect because it should have seen all those media reports about Armstrong doping. The USPS is not actually party to this suit; it was brought by Floyd Landis, who also got caught doping, and also had his Tour de France title stripped. But under federal law, Landis is a whistleblower and eligible to collect up to 25 percent of the damages—the suit is asking for $120 million. Armstrong's lawyers wrote that despite intense international attention on doping and a French investigation, the US government never suspended the cycling team. Instead, the government renewed its sponsorship. "Instead, the Postal Service renewed the Sponsorship Agreement and basked in the favorable publicity of its sponsorship. "It is now far too late for the government to revisit its choice to reap the benefits of sponsorship rather than investigate allegations of doping," they wrote. To be fair, this isn't Armstrong's lawyers' only argument. They also claim that the suit was filed after the statute of limitations had expired, and that since Landis also benefited from doping and the USPS sponsorship, he shouldn't be allowed to collect a whistleblower reward. But Armstrong's "they should have known" argument isn't insane. Doping allegations against Armstrong were raised long ago. The USPS knew—or should have known—that there was a chance all those victories would be thrown out. And it's hard to argue it didn't get its money's worth from the sponsorship.